The NRA has largely won the national debate on gun restrictions for now. Things have trended away from tighter restrictions since the House and Senate decided not to pursue another Federal Assault Weapons ban. Especially since the election of Trump and appointment of presumably Second Amendment friendly federal judges, the NRA has walked an unsteady line between gloating triumphalism and its more natural default state of paranoid fears of gun confiscation and Caucasian extermination. You can't really drive up financial support for your agenda if you admit you've gotten most of what you want. So, the NRA in the presence of one Dana Loesch, recently put out an ad that was simultaneously a cultural and literal call to arms, a grievances list, a threat, a warning, and a reason why you [stink] rant aimed at anyone to the left of say Tucker Carlson. The ad was as much hilarious as it was a disturbing insight into the minds of those who would find the ad emotionally validating and intellectually convincing. The NRA released this ad before it became widespread public knowledge that Russia was supposedly attempting to use the NRA and other right leaning or conservative groups to sway American political and cultural opinion, or at least American right wing political opinion in a direction more amenable to Russian interests. Some white racists have indeed responded favorably to these overtures. One Russian who allegedly accepted this task was Maria Butina. Maria Butina, whose years-long mission to build ties between Russia, the National Rifle Association and the Republican Party led to her arrest this week, has ties to Russian intelligence, federal prosecutors alleged on Wednesday. Among documents uncovered in Butina’s apartment after her arrest on Sunday was a “hand-written” note asking, “How to respond to FSB offer of employment?” the Justice Department said in a court filing. The FSB is the successor to the Soviet-era KGB. 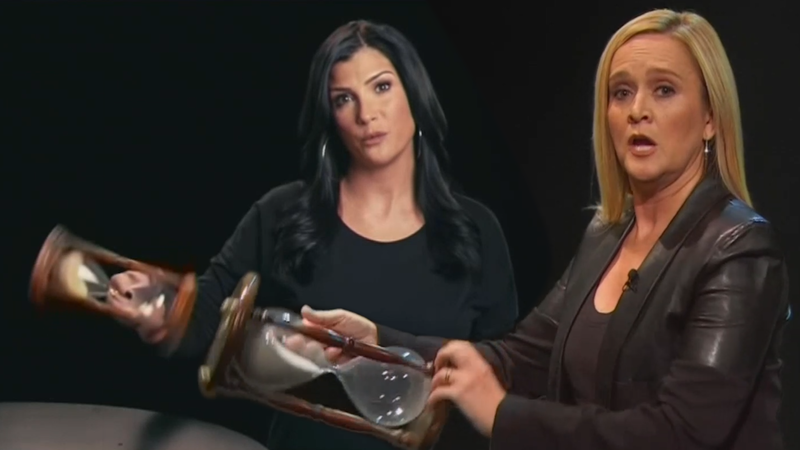 The late night host and comedian Samantha Bee tartly noted that so far the NRA and Loesch had been silent on these allegations. Surely they would not have been silent if prosecutors had charged a foreign national with playing footsie with left wing groups in order to influence American policy. Bee decided to spoof Loesch's ad.